For secret tips on Venice tourism you've come to the right place. There are unknown spots in Venice. But, I mean with secret tips, the experiences that ordinary tourists don't do! Tourists are coming all year round in Venice. You're not the only one. And it is hard to believe... but, you can not enter the city with a car. Therefore, Venice uses a lot of parking places around the city. Read my tips about parking in Venice. Sometimes there are so many people that it is too crowded. The old town is one of the most popular destination in Europe. Approximately 20 to 30 million tourists visit Venice every year. And do you want to survive? Want to save on your transport costs in this beautiful city? 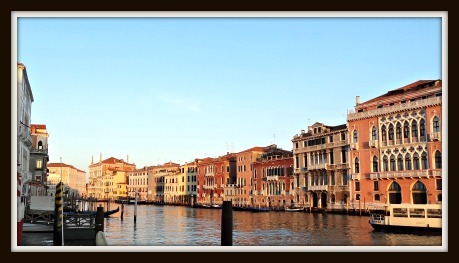 Well, I have some good Venice Tourism information with really practical tips, do's and don'ts. Venice has to offer more! You must ensure that you have a good walking map which features all the alleys, canals and the stops for the water bus 'vaporetto'. You should buy a map of Venice (click to read more) or a handy guide about Venice. Venice is really beautiful and you can explore the city in one day. No doubt. But, do yourself a favor and explore. Do more than just the tourist museums and squares. Venture out through the narrow streets and alleys. Be different and do not automatically follow the flow of tourists! "Three full days are needed to visit Venice"
And I 've often done it...! With proper preparation Venice has so much to discover. Go on foot. My first time I went walking between St. Mark's Square and the Accademia Gallery. I walked in the wrong streets. But, your will explore the real Venice! Tip! 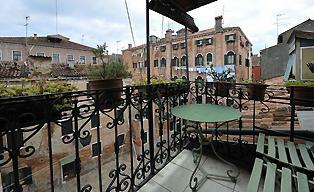 Via external booking agencies you can do special things in Venice. This will make you stay in the city an unforgettable experience. Book unforgettable experiences > For example, a gondola ride with serenade, in concluding a dinner! Knowing the history of Venice Italy (click to read more) will help you to understand this beautiful place. I tell you the facts and how it all began. It is a Floating city on 7,5 km² with 150 canals, about a 100 squares and 400 bridges. 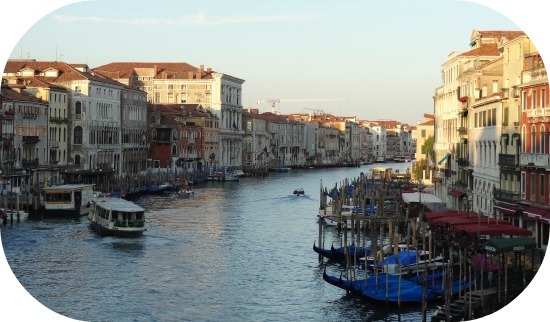 Venice has many names, like “Capital of water” and “Adriatic Queen”. So let’s go and let me bring you back about 1500 years ago when the first settlers arrived in this beautiful lagoon. 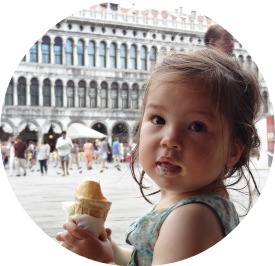 Also read the page about my Top 5 Tips in Venice. Most of my visitors are asking about a three day schedule when they are visiting the city of Venice. In my top 5 tips I introduce a full 3 day schedule! You don't see so many people who are using a wheelchair in Venice. Probably, there is some doubt wether it is possible to visit the city in a wheelchair. Luckily, Venice is not an amusement park. But, if you see how many crowd is visiting the city. Venice tourism is every year increasing. My advice is: Be aware during your trip to Venice and make a sustainable and responsible visit. I have 14 simple tips for a better tourism in Venice. I visited Venice in every season. Despite the tourists, there is always a place of unparalleled romance and culture. The history, the colors and the splashing of the water. Venice is always very attractive to go. There is no bad time to visit Venice. Each season has its attractions and charm. In the summer you can enjoy the warm summer evenings; For example, in a gondola through the romantic canals. The busiest months are from May until September. If you want to avoid the crowds but still want to have good weather, then I recommend to visit Venice in April. If you want to escape the city when the hot temperature rises I recommend to take this escape route. Autumn is has it's foggy weathers; Winter has its cold with in the background the snow on top of the Alps; The mild spring has beautiful sunsets and the summer is stifling heat.